Looking for a couple of days of seriously fun golf? Canyon Springs is a San Antonio classic! Measuring nearly 7100 yards from the tips, this course can also be played from the Black, Silver or Copper tees for a tamer round of golf. 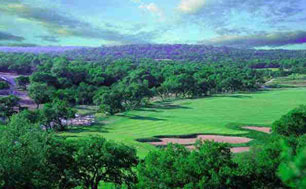 Enjoy one of San Antonio's most scenic pieces of real estate at Canyon Spring Golf Club. Nominated by Golf Digest and Golf magazine as one of America's best new public golf courses in 1998, Canyon Springs Golf Club has established itself in the upper echelon of local courses. Nestled at the edge of the beautifully formed Texas Hill Country, this 7,077-yard championship course offers terrific scenery as well as a first-class golfing experience. The 7,077-yard layout was designed by Thomas Walker. Don't worry if you've never heard of him; if this place reaches its potential, you'll surely be seeing more of his name in the future. 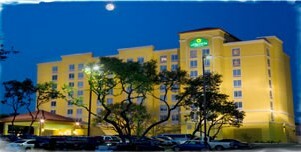 Canyon Springs is set in a scenic oak forest covering a series of hills. The isolated routing makes you feel as if you're on top of a private mountain, as no two fairways run parallel. Some might expect a tricked-up course with wild elevation swings and long forced carries. Instead, the design blends in with its environment instead of taking advantage of it. This course is sure to please even the most discriminate player! Our optional overnight accommodations are chosen based upon their proximity to the courses, as well as, their overall value, function and convenience to a wide selection of dining venues. These properties APPRECIATE THE GOLFER. Rates range from reasonable to luxury and depending upon your needs. 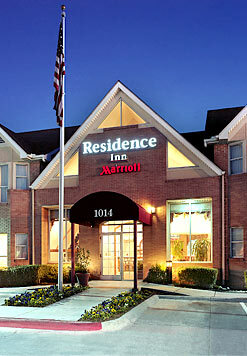 And, you may bring along non-playing guest(s) free of charge, in most cases, up to the maximum allowed room occupancy. These accommodations are optional. However, they make excellent turn-key solutions when you are seeking a complete playing experience in the Austin area. Prices are in US currency and are per-person based on double or single occupancy and staying at The La Quinta Inn & Suites NW/MedCtr for 2 nights and 2 rounds as listed above. Single Player rate allows 1-2 non-playing guests to stay free in room. Upgrades for overnight accommodations availabe on this package (see below). All prices are subject to availability and change. Taxes, range balls, cart and resort fees included.